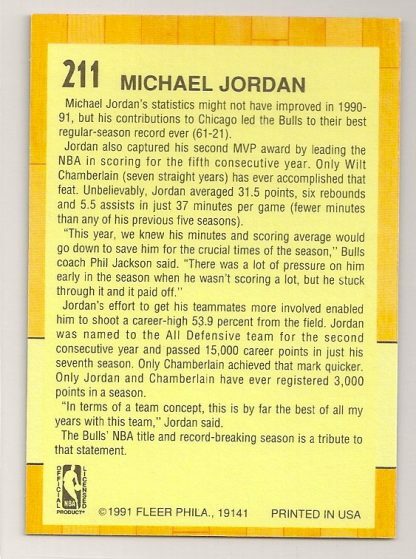 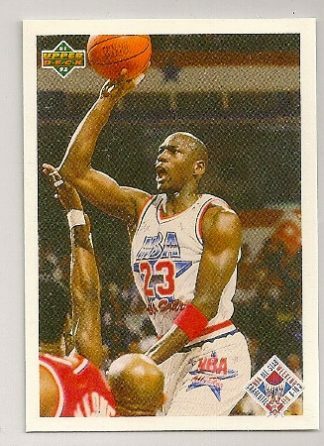 Michael Jordan 1990-91 Skybox Basketball Trading Card #41. 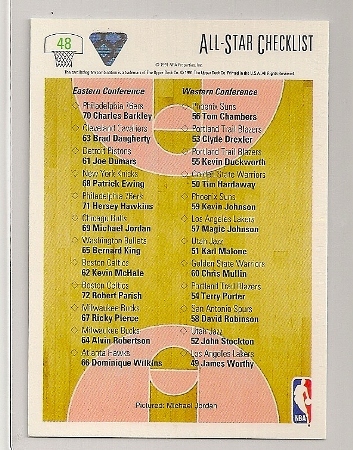 I can still remember the release of this set as if it were yesterday. 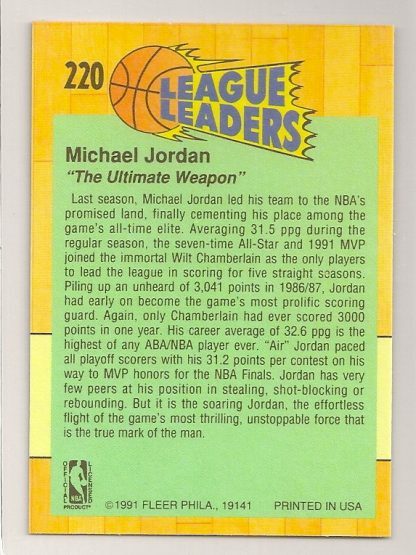 The year was 1990, and we collectors were set abuzz when we first viewed these “Premium” cards that were released by Skybox. 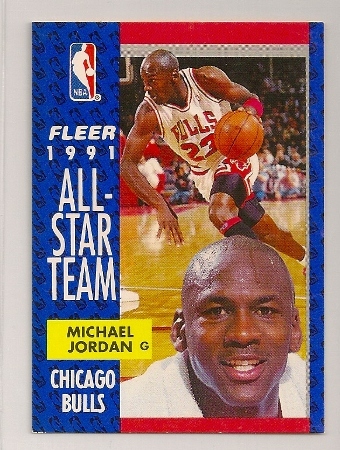 The cards were like something we had never seen before. 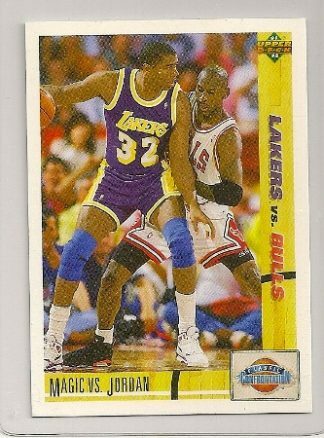 The front of each card had an action shot of an NBA player with a background that looked like something out of a science fiction movie. 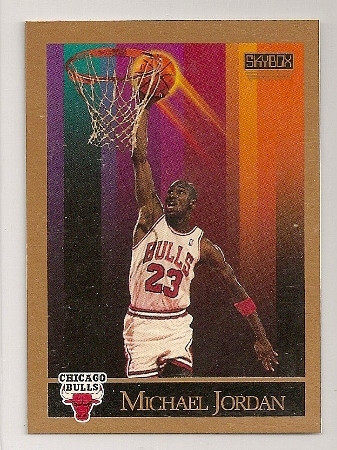 The card that we have up for sale here is the Michael Jordan 1990-91 Skybox card. It is #41 of the 423 card set. 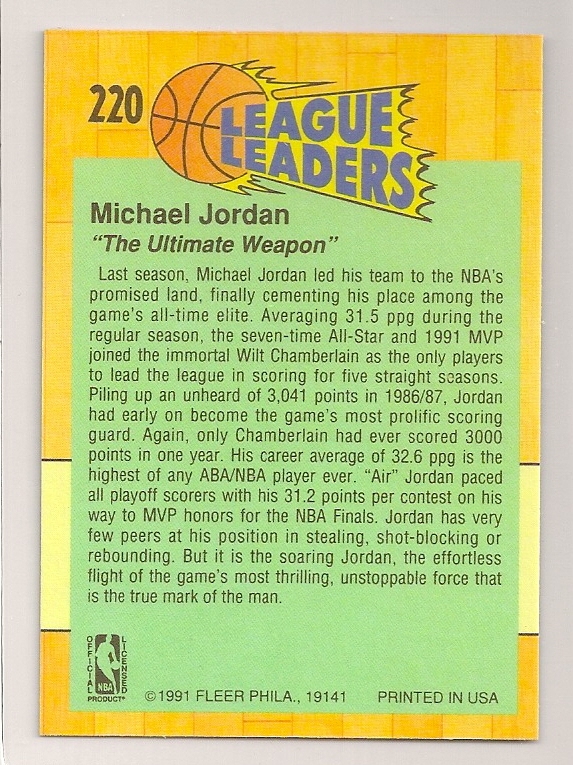 This MJ card is really cool. 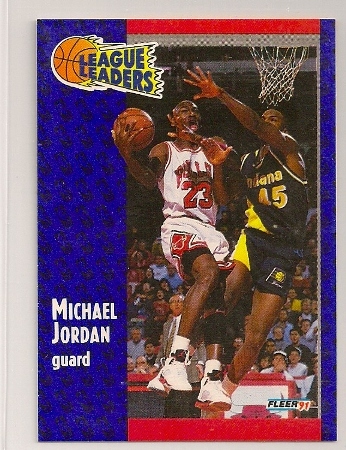 On the front it has an action shot of Jordan going up for one of his patented slam dunks. 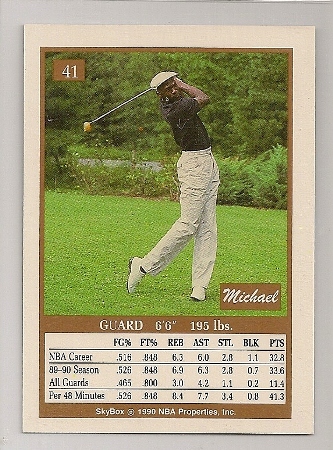 The back of this card is quite unique as it has a photo of Michael Jordan playing golf. 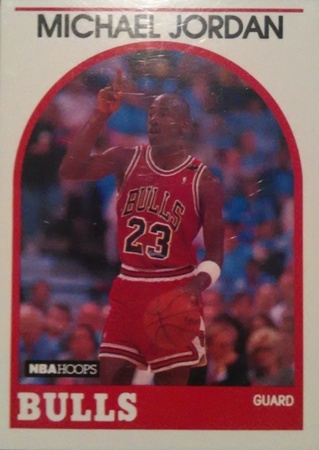 Click here to view the complete checklist of 1990-91 Skybox basketball cards.